Amy Slinker understands the sacrifices attached to military service, but her entrepreneurial spirit didn’t think fashion sense had to be one of them. The longtime serving citizen-soldier launched an entrepreneurial venture in 2014 to give her fellow service members accessories with military regulations in mind. 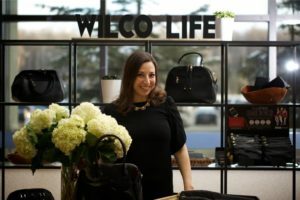 WILCO LIFE’s namesake combines the military jargon of “will comply” with inspiration from the unique military lifestyle. Now Slinker is setting her sights on growing her brand to include a larger national customer base. Slinker, originally from the Midwest, moved to Alaska in 2005 when her husband Dustin received orders there with the Army. Today, Slinker is attached to the Alaska National Guard, but has traveled much of the world in her two-decades-long career. “I spent most of my Guard career in public affairs and have had the opportunity to travel to South Korea, Romania, Mongolia, and Australia for missions with the Guard. I also responded to Hurricanes Katrina and Rita and the Space Shuttle Columbia disaster,” she shared. Like many military spouses, Slinker faced the daunting task of finding employment when the couple first relocated to Alaska. She started temp work that eventually led her to a present-day job with Pfeffer Development, a multidisciplinary commercial real estate development firm. Happiness at work translates to productive employees. Seems like a no-brainer, right? Wrong. Satisfaction in the workplace doesn’t always happen organically; instead, it is the job of business owners and managers to find the right tools to motivate the team. And what that looks like varies company to company. In fact, over 250,000 people stated happiness leads to many outcomes, like improved working relationships and higher output. One way to inject these results into your workforce is through strategic planning of your company’s culture, and the Powerhouse team can help with that. Among our services is company development—including team building and talent management. We work hand in hand with the decision makers on how to create professional development plans to set up your employees for success before they are even hired. Learn more here: Powerhouse Planning. A recent report reveals business owners are losing trillions of dollars due to lost productivity among team members. Eighty-five percent of employees are not engaged or are actively disengaged at work, according to the Gallup study. Some team members may say they are just punching a time clock and have no need for work engagement, but research shows that employees who are engaged are more productive. Team building may be the answer to this current issue facing companies. These types of activities are a great way to develop workplace camaraderie so that employees have a better understanding of each other’s strengths, weaknesses, and interests. It is also a surefire method to improve projects that involve teamwork, resulting in coworkers operating better together. 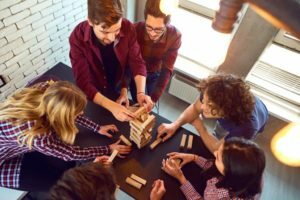 The outcome of team building can be extremely vital to a company’s success and to employee retention. However, many leaders seem to have the wrong idea about what constitutes a fun activity. The common result ends up being that employees feel like they have to get through yet another task, rather than enjoying their time and making proper use of a valuable opportunity. Avoiding this pitfall is as simple as picking ideas that are fun and engaging to the team, while also offering good opportunities to show off some skills. Be the good and do goodness in the world. 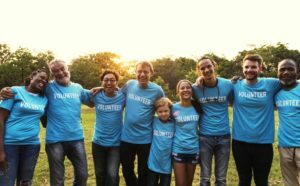 Companies, large and small, are finding value in giving back through team philanthropy. And it isn’t restricted to any one type of industry. From service professionals to virtual teams, businesses are using their niche as a means to encourage teamwork, improve communities, and just do their part overall. 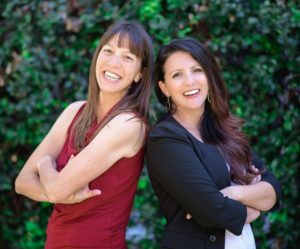 Jessica Bertsch, founder and president of Powerhouse Planning, feels she was called to give back to others through her business and her team. Prior to launching her small business, her career spanned higher education and government contracting. It was there that she learned to appreciate the immense possibilities attached to a dollar. “I’ve worked at multi-million dollar companies and was always in awe of how much money came in to leadership, but how very little was done companywide to make a difference in our world. I committed that if I ever had my own company I would build it on maintaining a healthy work/life balance and on being the good in our world,” she said. And she has kept that promise. Powerhouse is committed to doing its part through “Sharing the Goodness,” devoting 10% of earnings each month to those in need. From supporting nonprofit organizations to providing student scholarships, Bertsch invests a portion of her profits in improving future possibilities for others. As her business grows, her philanthropy expands. Interested in learning how we can help your company grow? Email us at admin@powerhouseplanning.com. We’d love to be on your team! Remember when the best way to stay connected to your team was in-person meetings or conference calls? Well, the speed of technology has taken off and these tools are starting to seem archaic. With over 46% of employees working remotely, there is also a need for communication methods that keep up with the pace of today’s digital world. Discussion forums – Have you ever had a question go unanswered or waited prolonged times to hear back from superiors? Information sharing between peers in a workplace can be extremely vital. New employees can be guided by veteran workers on learning what’s new or by answering a question they have experience in. 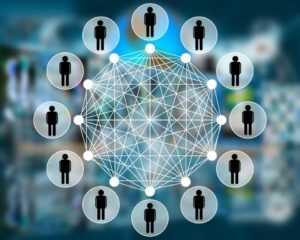 A company discussion forum could also allow employees to discuss issues in the workplace as well as collaborate on current projects. Company intranet – An intranet is a private hub that can only be accessed by those users with access. This should be a key form of communication with employees internally. Establishing an intranet lets employees stay up to date with company announcements and news, void of the burden all-hands emails create. Plus, supervisors can break down by department, making it easier to get to your designated area but also allowing the opportunity to learn about other areas. Skype for Business – As painful as some meetings can be, we must admit that they are necessary. Those who work from home have no other choice then to use video conferencing when it comes to checking in. Skype for Business changes the way you gather with your team. You can present a meeting over your desktop video conference using the traditional IM feature to communicate quickly with team members and even to allow coworkers to control your desktop during presentations if needed. If you are a civilian who doesn’t have family or friends in the military, then the jargon and acronyms that uniformed folks use likely sound like Greek to you. Even for newcomers to the military community, there’s a tremendous learning curve in terms of understanding the lingo. Now imagine if English wasn’t your first language and you were a family member trying to make your way in the military world. It definitely adds another obstacle to an already complex way of living. Janet Sanchez, founder and president of Esposas Militares Hispanas USA Armed Forces (EMHUSA), knows there are enough challenges when navigating military life, so she committed to making sure language isn’t one of them. 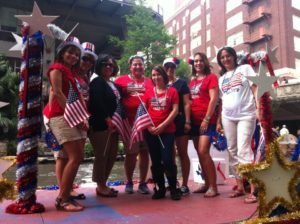 In 2007, Sanchez, a retired Army veteran, founded EMHUSA as an initiative to help military spouses whose first language was Spanish and not English. At present, the organization serves over 10,000 members stateside and abroad, and they’re continuing to grow. All of their programs are supported entirely by an all-volunteer team, with offerings adapted to military families with language barriers. Some of these services include translating information into Spanish on military benefits, insurance, community resources, and more. The organization also offers scholarships and emergency assistance to Spanish-speaking military families in need of help. Plus, they advocate for providers to offer Spanish-language materials in the places they provide the same in English.